Together with the Philippine Department of Health and the World Health Organization, HCWH-Asia documented the Philippine Measles Eradication Campaign (PMEC). The report established the Philippines as the first country to deal with waste from a nationwide vaccination program without resorting to incineration or open burning. 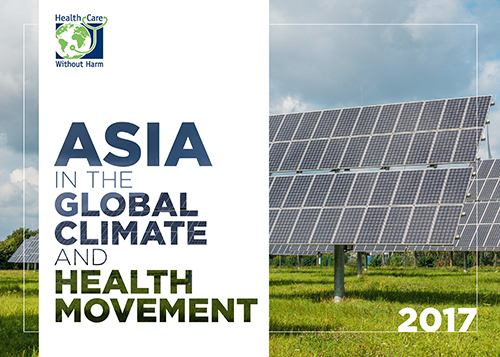 HCWH-Asia organized the 1st Southeast Asian Conference for Mercury-Free Health Care. HCWH-Asia started working with Social Watch Philippine's Alternative Budget Initiative for Health and the Stop Toxic Debt! Coalition. HCWH-Asia issued the Guide to alternatives for health care personnel. The Philippine Department of Health signed Administrative Order 21 mandating the gradual phase-out of mercury-containing devices in all Philippine health care facilities and institutions. Health Care Waste Assessment Project: A partnership between the local government unit of Baguio, tertiary hospitals in Baguio City and HCWH-Asia was launched. The Alpha Phi Omega International Collegiate Service Fraternity in the University of the Philippines-Diliman carried the mercury phase-out campaign of HCWH-Asia in its annual Oblation Run. Forty three Congressmen in the Philippines signed petition to cancel the 1994 Austrian government loan used to fund the defunct Austrian Medical Waste Incinerator Project. HCWH-Asia with children all dressed in white like little gods and goddesses visited the Philippine Department of Health to spread the message of love on Valentine's Day for a mercury-free Philippines by 2010. HCWH-Asia together several hospitals in the Philippines sent a letter to the Health Secretary urging for the release of the Php100 million budget for autoclaves for the treatment of infectious medical waste. Philippine hospitals and HCWH-Asia sent a letter to Austria Ambassador calling for the cancellation of an Austrian loan used to purchase medical waste incinerators for 26 government hospitals. 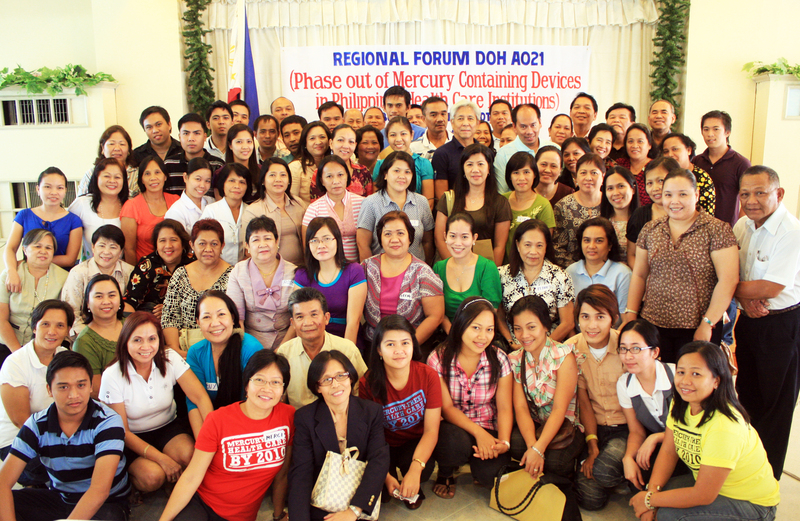 Philippine General Hospital announced the banning of mercury devices purchase. HCWH-Asia and the Philippine Nurses Association sign an agreement detailing the work to phase-out mercury in the health care setting. 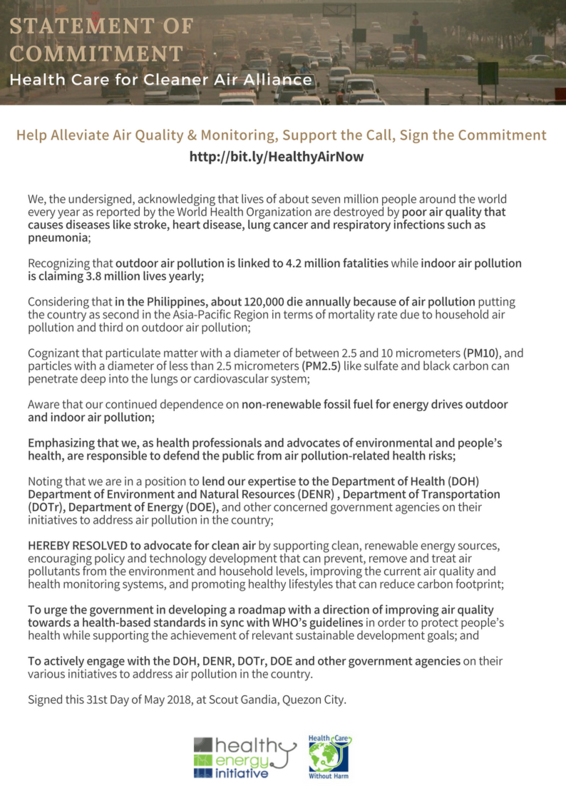 HCWH-Asia calls for a mercury-free Cavite and green Visayas in the Philippines. Hospitals in the Northern Samar in the Philippines pledge to promote environmental health. HCWH-Asia brings the mercury phase-out campaign to four cities in the Philippines. 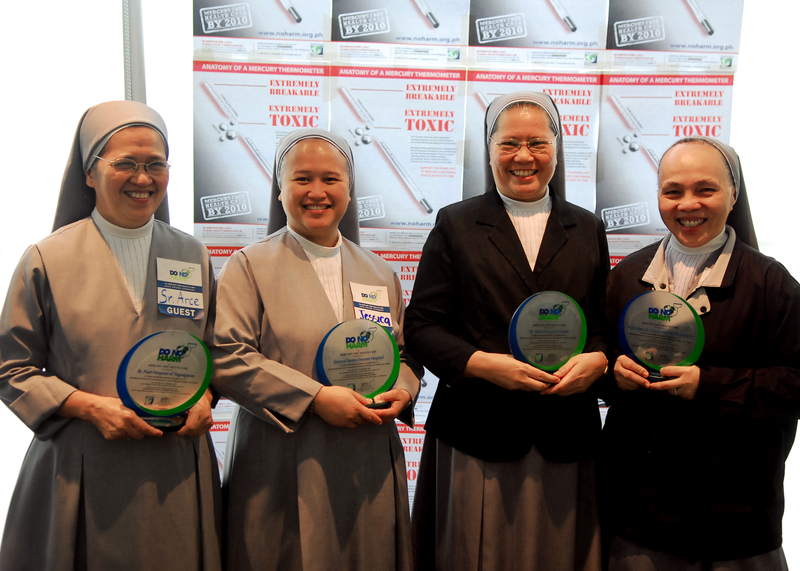 Sixteen Philippine hospitals receive the First Do No Harm Award for mercury phase-out in health care. HCWH-Asia calls for the release of the impounded health budget for purchase of autoclaves for medical waste treatment. HCWH-Asia calls improper mercury disposal a 'disaster in times of calamity'. 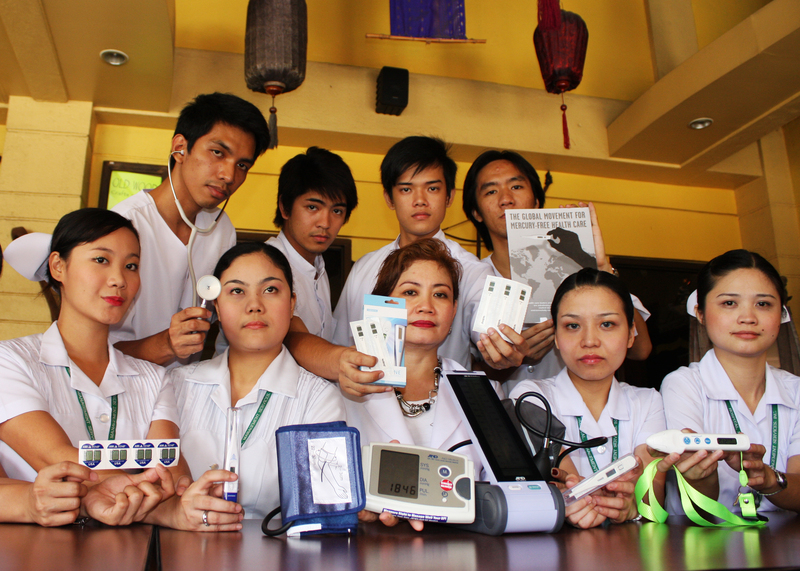 Occupational Health Nurses Association of the Philippines signed the Mercury-Free Health Care Initiative. HCWH-Asia's regional conferences on mercury phase-out took to the road the Green Health Covenant enjoining all health care workers and all Filipinos to encourage their candidates to put in their agenda the many facets of a green health care. HCWH-Asia calls for a ban on mercury in health care in the Philippines and calls on local government unit to implement mercury phase-out. HCWH-Asia issues guidelines on storing mercury thermometers and mercury-containing batteries at home. HCWH-Asia asks for the Philippine Department of Health's status report on mercury phase-out. HCWH-Asia together with a group of doctors from the Philippine College of Physicians-Southern Luzon calls for mercury ban in health care and promises a vote to a Presidential candidtate in the Philippines who can make it happen. HCWH-Asia warns hospitals that water is the biggest victim of all improper waste management practices in the health care setting. HCWH-Asia appeals to Philippine President to do an Obama and order a ban on mercury in the Philippines. Together with the Global Alliance for Incinerator Alternatives (GAIA), Greenpeace, and EcoWaste Coalition, HCWH-Asia holds a roundtable discussion with the Philippines Department of Health (DOH) to stop the reintroduction of medical waste incinerators. The DoH announced in the meeting that they will scrap any plans to bring back incineration. HCWH-Asia asks Philippine president to keep all hospitals stink-free and clean by ordering mercury importation ban and to shun away from revisiting medical waste incineration. HCWH-Asia partners with OMRON and personal care retailer Watsons to promote mercury-free medical devices. HCWH-Asia demands members of the House of Representatives Committee on Appropriations to push the Department of Health to report on the still unreleased 2008 and 2009 environmental health budget. HCWH-Asia releases a report on the implementation of plans for phasing out mercury in Philippine health care. The Philippines Department of Interior and Local Government (DILG) passes Memorandum Circular 2010-140 on December 7. The memorandum formalizes the compliance of provincial governors, mayors, and other government workers to the Department of Health’s Administrative Order 21 (AO21). AO21 mandated the gradual phasing-out of medical equipment containing mercury in all Philippine health care facilities. The order was signed in September 2008, with a two-year implementation period that ended in September 2010. HCWH-Asia issued the Philippine Directory of of suppliers: mercury-free alternatives. The Anti-Incineration Road Show (AIR) hits the road. HCWH-Asia presents case studies to Philippine Local Government Units (LGUs) on hospitals that have successfully managed waste without incineration. A number of Philippine celebrities pledge support to the Safer Chemicals Campaign. HCWH-Asia calls on the Philippine Department of Health to ensure the proper waste management and disposal of syringes and other materials that will be used in the month-long measles vaccination program. HCWH-Asia introduces PRIMER for improved health services. This includes: Proper waste segregation, Recycling program, In-house food production, Mercury-free, Efficient use of alternative materials that are non-toxic and environmentally friendly, and Renewable and alternative energy. After two years of constant probing and pressure from civil society organizations in the Philippines including HCWH-Asia, the Department of Health has disbursed the allocation for purchase of non-mercurial thermometers and sphygmomanometers for DoH and Local Goverment Unit (LGU)-controlled health facilities. HCWH-Asia send a message for the World Environment Day. BURN NOT 1, BURN NOT 2, BURN NOT 3. The Regional Development Council (RDC) of MIMAROPA (Mindoro, Marinduque, Romblon and Palawan, Philippines) region passes two resolutions in line with efforts of HCWH-Asia. RDC Resolution No. 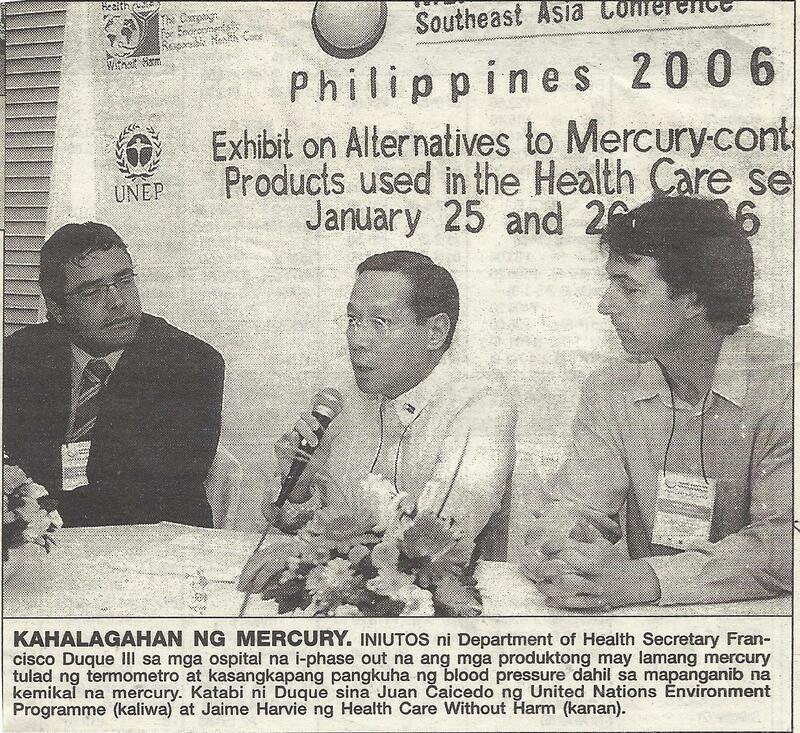 036-208-2011 bans the entry of mercury in all Philippine markets with reference to the Department of Health (DOH) Administrative Order 2008-0021. The administrative order mandates the phase-out of all devices containing mercury from Philippine health care facilities by 2010. RDC Resolution No. 036-209-2011 requires the Department of Environment and Natural Resources - Environment Management Bureau (DENR-EMB) to formulate procedures and guidelines for the proper handling and disposal of mercury. To mark the World Breastfeeding Week, HCWH-Asia sent a message that breastfeeding is an important step to ensure the health of infants and is the best course of action for new mothers. A city resolution in Puerto Princesa, Palawan in the Philippines seeks to ensure safe and propoer disposal of medical, infectious, and toxic medical waste is under discussion. Two Philippine hospitals unfurled a black banner with the statement: BURN NOT to show opposition to bring back incineration in the country. HCWH-Asia implements the Burn Not campaign. The drive is comprised of a three-part public service announcement featuring personalities from entertainment and politics. 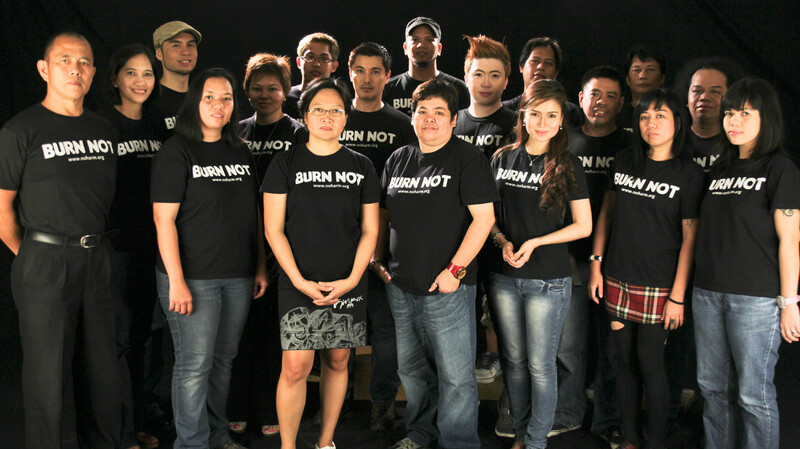 Burn Not was made to counter the proposed amendments to the Philippine Clean Air Act that would once again allow incineration of medical waste. Check the videos here: BURN NOT 1, BURN NOT 2, BURN NOT 3. HCWH-Asia called on the executive and legislative governments of the Philippines for the debt cancellation of a 15-year old medical waste incineration project. HCWH-Asia turns over non-mercurial devices to the Province of Marinduque. HCWH-Asia, together with leaders from 50 organizations and prominent individuals from around the world signed an open letter to world leaders calling for investment in safe, renewable energy in order to end the threat of nuclear power and put protecting people ahead of protecting the nuclear industry. 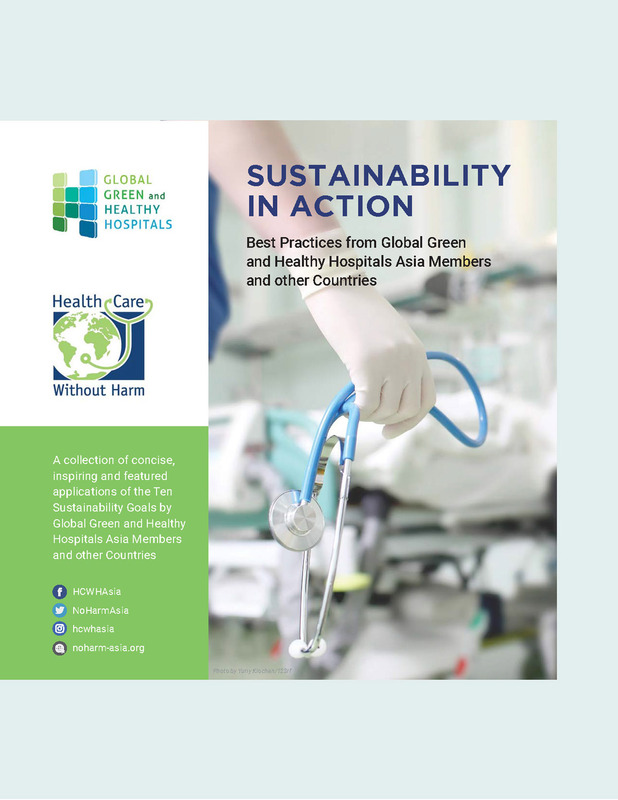 Global Green and Healthy Hospitals (GGHH) network is launched in Asia. Ten Indonesian hospitals commit to going mercury-free. The pledges are in line with the Denpasar municipal administration’s aggressive campaign to reduce the use of medical equipment containing mercury. 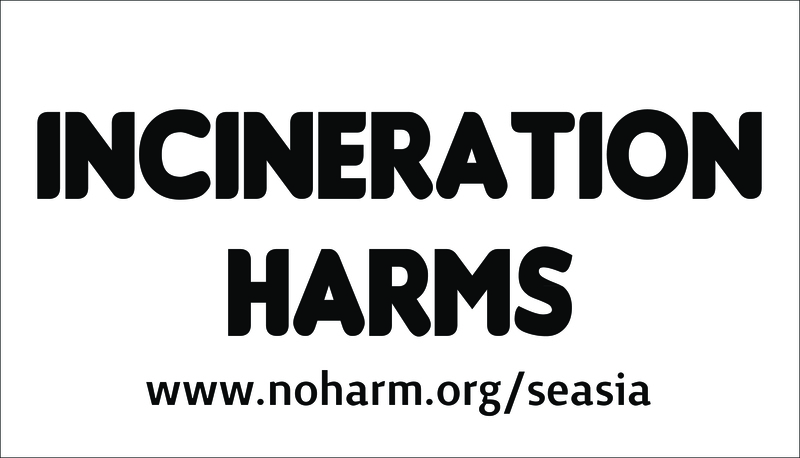 The Philippine College of Physicians adopts Incineration Harms, Burn Not as one of their advocacies. 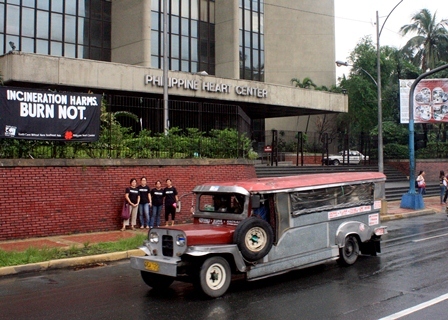 Hospitals under the St. Paul de Chartes Health Care Ministry unfurled a black banner with the statement BURN NOT in their hospital facade. Several hospitals in Asia express interest in joining Global Green and Healthy Hospitals network. Thailand's Department of Health, Ministry of Public Health signed in to be part of the Global Green and Healthy Hospitals (GGHH) network. San Lazaro Hospital in the Philippines announced its no styro-no plastic policy in its facility. HCWH-Asia raised alarm over a proposed Memorandum of Agreement to be entered into by the City Government of Davao in the Philippines to use Pyroclave technology to address the disposal of hospital waste. Environmental justice and health networks Mother Earth Foundation, EcoWaste Coalition, Global Alliance for Incinerator Alternatives (GAIA) and HCWH-Asia call on the Province of Pampanga in the Philippines to be wary of waste-to-energy combustion projects being offered at no-cost to municipalities of the province. Two Philippine hospitals agreed to be part of the Chemical Substitution and Management project of HCWH-Asia. The two hospitals, Romblon Provincial Hospital and Saint Paul Hospital Tuguegarao, will become the pilot hospitals for identifying hazardous chemicals being used in the facility and switching to safer alternatives. HCWH-Asia with the EcoWaste Coalition, Global Alliance for Incinerator Alternatives, Greenpeace-Southeast Asia, Philippine Earth Justice Center, and Mother Earth Foundation called on the Philippine Department of Health to remove the inclusion of pyrolysis and/or burning in its revised Health Care Waste Management Manual as an option for dealing with medical wastes. The Philippine College of Physicians-Southern Luzon chapter and HCWH-Asia launched Global Green and Healthy Hospitals in the Philippines. Health Care Foundation Nepal (HECAF) released a video giving a brief snapshot of the phenomel progress made in Bir Hospital to transform their health care waste management. Thru the efforts of HCWH, International POPs Elimination Network (IPEN) and the Qinhuangdao Municipal Committee of China National Democratic Construction Association (QMCCNDCA), Sino-Union Create of Qinhuangdao (SUCQ), and Global Village of Beijing Environmental Education Center (GVB), two hospitals have successfully substituted mercury-containing devices in health care. The two hospitals are Qinhuangdao Maternity and Child Healtcare Hospital (QMCHH) and Qinhuangdao Cerebrovascular Disease Hospital (QCDH). HCWH partner organization Toxics Link, produced a video documenting the effort of Himalayan Institute Hospital Trust in eliminating the use or mercury. 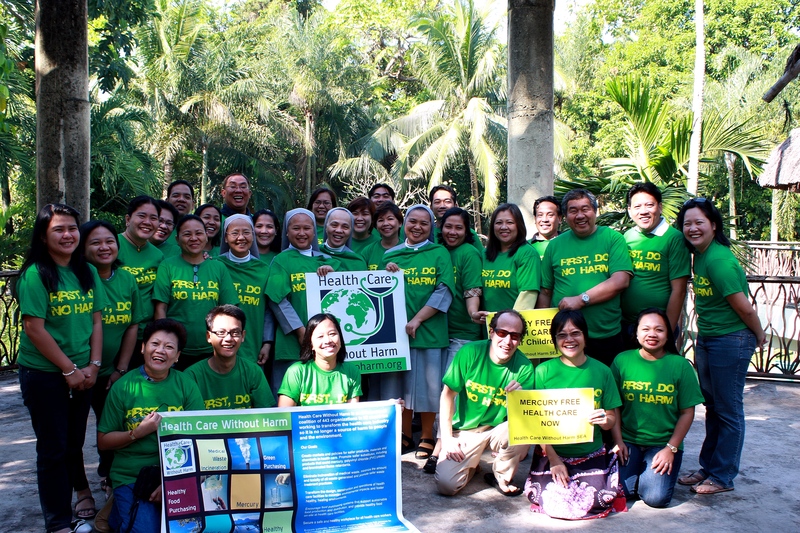 Together with the City Government of Cebu in the Philippines, HCWH-Asia brought the issue of greening the hospitals. In time for the celebration of World Health Day 2013, the Philippine Heart Center and the St. Paul de Chartes Health Care Ministry with its 13 owned, co-owned, and administered hospitals have signed-in to be part of the Global Green and Healthy Hospitals (GGHH) network. Philippine Society of Nephrology and HCWH-Asia held a nationwide contest among health care facilities to tap dialysis centers with ecologically-sound alternatives to current health care practices that could pollute the environment and contribute to disease. Representatives of ten hospitals in South Korea came together with a group of experts to launch a national initiative to reduce the environmental footprint of health care in South Korea. 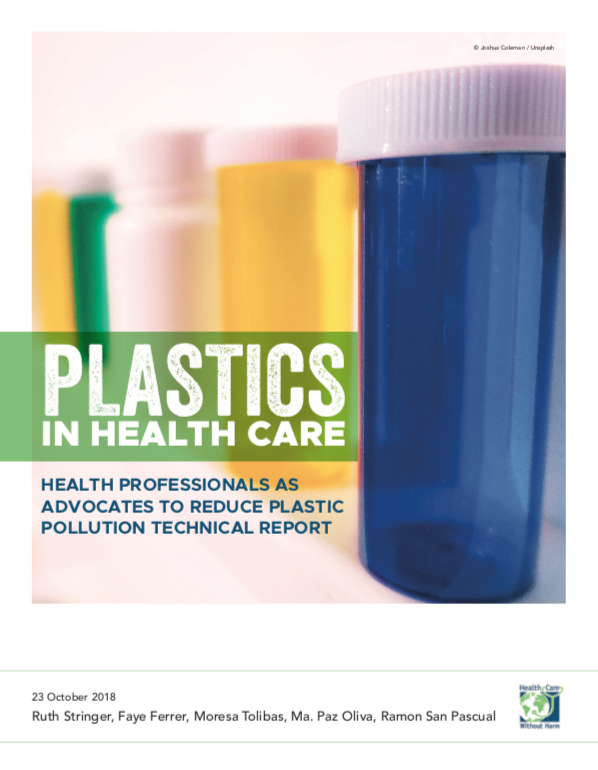 HCWH-Asia together with the UNDP Global Environment Facility Project on Global Healthcare Waste launched the report From the Backyard to the Frontline: Initiatives of Philippine Hospital Workers on Best Environmental Practices. HCWH-Asia called for the review of proper and safe storage of phased-out mercury devices from Philippine health care facilities at the height of a mercury spill at the Dr. Jose Fabella Memorial Hospital in Manila. HCWH and the World Health Organization launched an inittiative to achieve the Minamata Convention's goal to end the manufacture, import, and export of mercury-based medical devices worldwide by 2020. HCWH-Asia turned 10 years old. The weeklong celebration includes visit to Philippine Senator and climate change champion Loren Legarda, a Medical Ecology Forum with HCWH President Gary Cohen where Philippine hospitals signed the Philippine Doctors' Prescription for Climate and Health, and the Green Hospitals Asia Conference. View the photos of the celebration here.